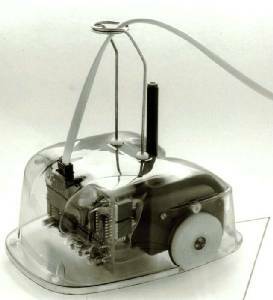 Expandable Turtle controlled over an umbilical from an host computer, driven by stepper motors and capable of precise movements, is able to follow lines using the inbuilt line following sensors. Sold by Intergalactic Robots Ltd. Size - 7" * 6" * 4".